Simple but stylish, the Gala Dress and Nappy Cover is signed by Petit Oh! Designed for confort, Gala is a high-quality piece, perfect for the hottest days of summer. The dress features stars pattern for a contemporary look, while its A line and poppers at the back makes it confortable and practical. Joyful and vivid, thanks to its lovely frills. The nappy cover included, instead, is simple but confortable, to keep the baby cosy and free to roam. 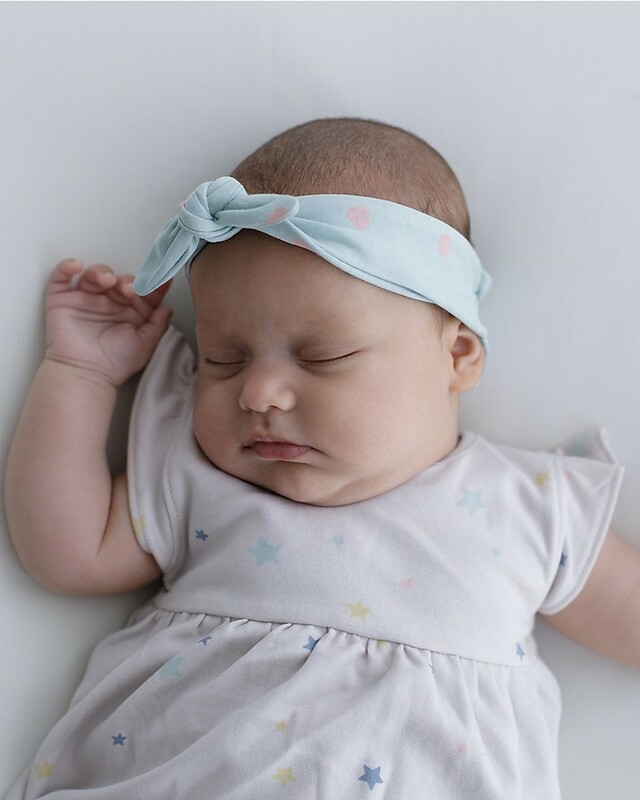 Made in Pima Cotton, Gala Dress and Nappy Cover is extremely comfy to wear, soft and delicate on even the most sensitive skin. The Pima cotton is, in fact, a breathable fabric, perfect for the hottest months of the year. A complete and lovely baby shower gift! PIMA cotton is cultivated in ideal conditions and is harvested with care; it also has particularly long fibres (35mm) – all this combines to make it is the finest quality cotton in the world, known for its amazing softness, its delicate sheen and its resistence to pilling.